There has been a surge in the number of companies listing on the Junior Market of the Jamaica Stock Exchange in recent months. Operators of small to medium sized enterprises (SMEs) have sought to gain a competitive edge by listing on the Junior Market, with each listing leaving the investing public hungry for more. The 2018 entrants on the Junior Market include Elite Diagnostic Ltd which attracted much attention as it was oversubscribed by 768 per cent, raising $141 million dollars in capital; and recently listed pharmaceutical company, Indies Pharma Jamaica Ltd, which was also oversubscribed raising $387.21 million dollars in its initial public offering. In light of this trend, operators of SMEs should consider exploring the potential benefits of listing on the Junior Market. We have, therefore, highlighted a few points to consider for those questioning if the Junior Market is the right fit for them. The primary reason most operators of SMEs would opt to list on the Junior Market is because of the ability to raise capital from the public. SMEs that have opted to list have enjoyed the benefit of large capital injections, without the burden of traditional loans or debt financing. Companies listing on the Junior Market must have stated capital of not less than $50 million and not more than $500 million following its Initial Public Offering, making it an ideal opportunity to raise capital for an SME. Such a capital injection is particularly attractive in circumstances where commercial lending rates are approximately 11 per cent on average. With recent reports that Jamaican banks have been maintaining high interest rates relative to other Caribbean countries, utilising the Junior Market as an avenue for obtaining financing is a timely consideration for operators of SMEs. Securing a loan from a financial institution also often entails having attractive assets that the financial institution proposes to charge and hold as security for the loan; entering into complex security arrangements and having a guarantor for the loan. Also, as the income of an SME tends to ebb and flow, the making of monthly loan payments can leave an SME vulnerable during a challenging financial time. Listing on the Junior Market therefore provides an alternative source of funding. The act of listing on the Junior Market has the automatic effect of raising your company’s profile and creating a perception of transparency and stability while increasing public awareness of your product or services. Listing consequently increases your brand equity. Both the company and its products or services benefit from the listing as they receive an indirect endorsement through having the company’s shares traded on the Junior Market. The JMMB Group has reportedly made 11 different offers to investors allowing them to raise $23 billion by virtue of its listing on the stock exchange. SMEs can also experience similar benefits by listing on the Junior Market. Listed securities are also acceptable to lending institutions as collateral for credit facilities. As such, listed companies can borrow from financial institutions more easily and are viewed favourably by lenders because of the standards that must be met and maintained to remain listed. Chances are a listed company will also stand on more solid footing when negotiating interest rates with financial institutions. This may even result in a reduction in interest costs on the company’s existing debt. When the Junior Market first launched, SMEs could benefit from a corporate income tax break only if they were listed prior to a specified deadline. However, by virtue of the Income Tax (Amendment) Act of 2016, Junior Market entrants can continue to benefit from these tax incentives, namely exemption from payment of corporate income tax (ordinarily taxed at a rate of 33 1/3 per cent for regulated entities and 25 per cent for unregulated entities) in the first five years after admission to the Junior Market; and in the subsequent five-year period, the company would be exempt from payment of 50 per cent of such tax. To enjoy this benefit, however, the entity must remain listed on the Junior Market for at least 15 years. In addition, entities on the Junior Market benefit from tax-free issuance of all dividends while listed, as well as exemption from transfer tax and stamp duty for shares transfers over the Jamaica Stock Exchange. After being listed, there is generally a constant liquid market for securities which would allow people wishing to divest their securities to do so at current market price. This is a benefit to shareholders of SMEs who have/would like the option to divest their holdings either fully or partly in the short to medium term. Listing on the Junior Market would be a big step for any company. A number of legal, practical and technical issues must be considered. Consultation with professional advisers, such as accountants, attorneys and brokers are a matter of necessity. Ultimately, however, the Junior Market may be the mechanism to provide the capital you need to inject new life into your business. 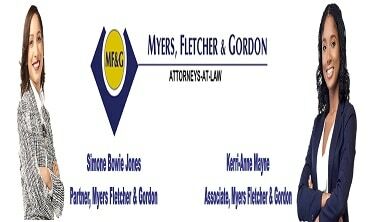 *Simone Bowie Jones is a partner at Myers, Fletcher & Gordon and Kerri-Anne Mayne is an associate attorney-at-law at the firm. Both are members of the firm’s Commercial Department. They may be contacted at www.myersfletcher.com or their e-mail addresses: simone.bowie@mfg.com.jm or Kerri-Anne.Mayne@mfg.com.jm . This article is for general information purposes only and does not constitute legal advice.